Fill your home with these dream weavers' fresh fabrics. For these designers, inspiration can come from a walk around the block or a country miles away. 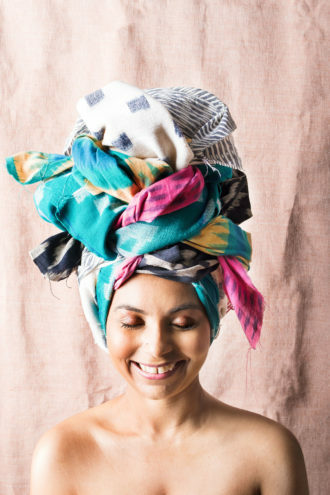 We look at three local artists who are creating fresh fabrics. Creating her fabrics requires many hands to dye, loom, and weave. “So just with one textile, I’m providing for the whole family,” she says. Megan Adams Brooks diminutively calls her animal prints, botanicals, and ethnic and natural textures “mark makings.” “My creative process is very sporadic,” Brooks says. “I draw inspiration from photographs and sketches from trips or sometimes just a walk outside.” But her patterns—scanned and manipulated from hand-drawn sketches—are painstakingly crafted to look handmade. “My process is not luxurious at all,” she says. The Dallas native honed her precise eye studying painting and drawing at Southern Methodist University and earned a Master of Fine Arts at the University of North Texas. A budding fashion designer, she turned to textiles after becoming disenchanted with the trends of the fashion world during a summer at Parson’s School of Design in New York. 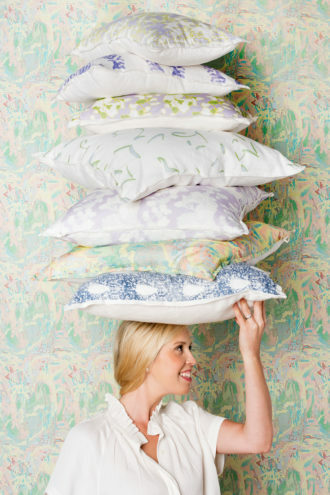 “I could not find any patterned fabrics that I liked,” she says.